Today, Catherine Wright tells us about her book discovery of 2017. As someone admittedly susceptible to the allure of all things exotic and especially Middle Eastern by nature, this collection of stories has been in my sights for some years. When the librarian showed me the size of each of the three volumes, I nearly lost my nerve and retreated to something less exhausting to hold up. How glad I am that I didn’t! The stories of Scheherazade in their full glory (beyond the Disney-fied ones of Sindbad and Aladdin) are as mysteriously compelling and evocative as the hype would have it (I am reading the wonderful 2008 Penguin translation by Malcolm and Ursula Lyons). Not only are there the expected sumptuous scenes laden with precious gems, beautiful men and languid-eyed women bedecked in gorgeous silks and scented with musk and ambergris (which do not disappoint), but the nature of the storytelling is entrancing and quite hypnotic in it’s own right. 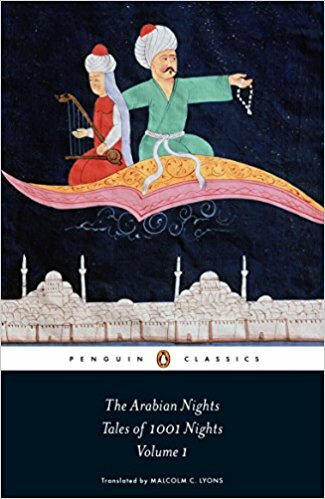 The indefatigably inventive Scheherazade stays her execution by her vengeful lover-king night after night with tales of tricksy djinns and the very human peccadilloes of its protagonists, interspersed with Rumi-like swatches of poetry and philosophy. No story is completed by the break of dawn, thus delaying her death for another day. Nothing is linear in the experience of reading this text, with even minor characters telling stories within the main stories, so readers find themselves slipping deliciously down a narrative rabbit-hole, with each twist and turn more fascinating and lush than the last one in what feels a little like the opening of a sequence of Russian dolls. Although the exact provenance of these stories is still contested, it certainly feels very different to the Occidental, somewhat more logic-oriented style of narrative, which can seem a bit peely-wally by comparison. And these stories are unapologetically sensuous, sometimes startling with the very direct sexiness of the action and language. The only thing that can stick in the craw about this (allegedly) medieval string of tales, is the regular description of women as scheming and untrustworthy (while the poor men are simply at their mercy) but, of course, this spin is not confined to Muslim or Arab stories (cf. 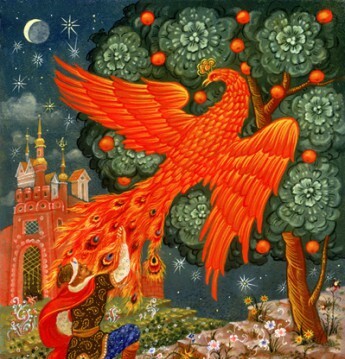 Eve, the stories of Lilith and beyond…). If you can put this to one side, Alf Laylah wa Laylah is a wild and glorious ride which often makes me catch my breath with its wisdom, insight, storytelling virtuosity and sheer beauty. Build up your biceps and give it a shot! Catherine Wright was born in New England to a pioneering pastoral family, recently returning to live there after many years away. Her prose and poetry have been published in literary journals, installations and anthologies, as well as winning or being shortlisted for several awards, and a picture book of hers was produced for BBC Television CBeebies(Australia). She has been awarded a Varuna Residential Fellowship for 2018.